Sugarless, butter less and egg less dry fruit cupcakes with oats. A very healthy and yummy cupcake. You will love the aroma of cinnamon, cardamom and nutmeg. A very flavourful dry fruit cake with all the goodness of dry fruits and oats. I haven’t used all purpose flour/maida ,sugar or any artificial sweeteners in it. Perfect to satisfy the sweet craving of all the health conscious people. Dry fruits are an easy source of essential nutrients. It is zero cholesterol and fats so totally guilt free. It has natural sugar,fiber and all the nutrients we need to maintain a healthy lifestyle. 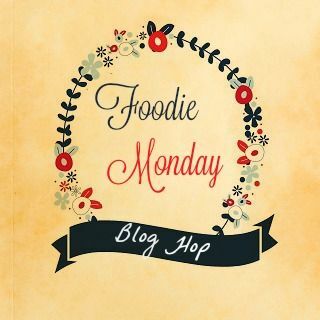 Our this week’s #Foodiemonday #bloghop theme is dry fruits. My contribution is this super healthy and yummy cupcake. This post is dedicated to all the diabetic people. They can enjoy it too. Just omit the tutti-frutti and candied cherry. Because they have little sugar. And its perfect for you. I have used rice bran oil but you can use olive oil or any white oil. Grease the cupcake moulds or muffins pan. Add the vinegar in milk and keep aside. Grind chopped dates, soaked raisins, soaked and peeled almonds and cashew nuts with 1/4 cup milk. Don’t make it smooth. Make a coarse paste. Mix ground oats, whole wheat flour, milk powder, baking powder, soda, cardamom powder, cinnamon powder and nutmeg. In a large bowl mix oil and milk vinegar mixture. Add half of the dry ingredients mix well and add remaining dry ingredients and coarse dry fruit and dates paste. Add tutti-frutti. Mix well. You can add little more milk if require. Make a thick batter. Pour the batter in oil or butter greased moulds or muffins pan. Fill 3/4 in each mould. Decorate with half candied cherry and tutti frutti. Bake in preheated oven at 180° for 25 – 30 minutes. Or until the toothpick comes out clean. Every oven take different time. Check after 15 – 18 minutes. Insert a toothpick in the middle of a cupcake. If it comes out clean its ready. You don’t need any icing on it. If you want to serve diabetic patient omit the tutti frutti and candied cherry.